Home insulation in Granby, Suffield, Windsor, Wilbraham, Tolland, Chicopee, Springfield and throughout Northern CT, Berkshire County and Greater Springfield MA slows the flow of heat to save you and your family some money. As a full-service insulation contractor, Dr. Energy Saver by Eco Energy Solutions provides expert home insulation services to improve areas such as walls, crawl spaces, basements, and garages in Northern CT, Berkshire County and Greater Springfield MA. "Full service, feeling of confidence!" Full service, feeling of confidence! While insulation can positively impact the comfort and efficiency of your home, old, damaged insulation can actually do more harm than good. 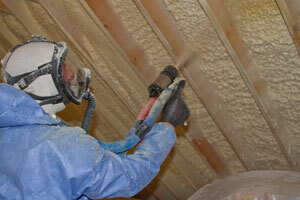 Fiberglass insulation, in particular, is prone to water damage, leading to lower R-value as well as mold and mildew growth if it gets wet from a roof leak or attic humidity. 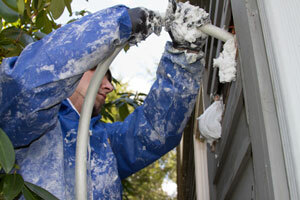 Other potential insulation issues include rodent infestation and fire and smoke damage. 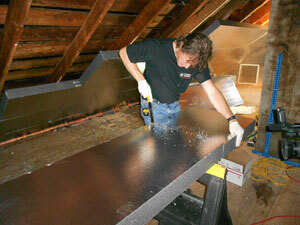 Additionally, sometimes it may be necessary to get rid of insulation to be better able to air seal your home. No matter why your old insulation isn't doing its job, Dr. Energy Saver by Eco Energy Solutions can remove this insulation and make way for a better solution. 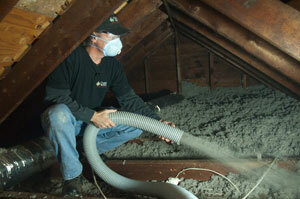 Our professionals will discuss insulation removal and more when we come to take a look at your home. Dr. Energy Saver by Eco Energy Solutions proudly services the areas of Simsbury, Longmeadow, South Windsor, Chicopee, Hartford, and nearby. If you are interested in upgrading your existing insulation or would like new insulation installed, call us today at 1-855-229-7070 for a free estimate!